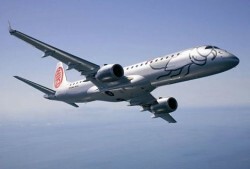 Austrian Airlines increased its number of passengers by 9.7% in 2010; Flyniki achieved an increase of 29%. Austrian Airlines (AUA) achieved a number of passengers of 10.0m (+9.7%). The sales growth amounted to about one million passengers. The increase in December of 4.5% is remarkable, as the chaotic weather-related conditions at many airports forced cancellations of thousands of flights, also affecting AUA.